Though majority of granite countertops do not need to be sealed, sealing it is proven to be highly important for good reasons. This helps stones resist spills and dirt that can result to staining and etching. By nature, granites are moisture resistant, but these are also porous. The sealants tend to block the liquids from seeping deep into the granite. If you seal your granite countertops properly, these will not just resist stain but you will also be able to use it better. Prior to applying sealer, you need to always test the absorbency of the granite. There are actually many different varieties of granites and large percentage of these are actually damaged by sealers. 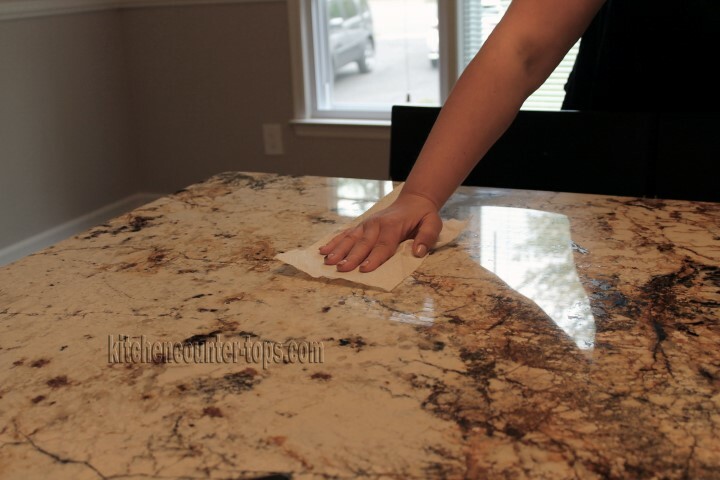 There is actually no such thing as stain proof or safest granite sealers but good sealers will definitely give you the time needed to wipe up spills before these are absorbed. Individuals also have to note that sealing has nothing to do with the shiny look of your countertops and this is merely caused by effective polishing. You first need to wipe of granite with some clean water and specialized granite stone cleaner or dish soap. You then have to wipe this with preferably dry or lint free cloth or towel. You need about 24 hours to let granite dry completely and return to their original form before you continue. Select an unobtrusive spot of your granite perhaps where microwave and other appliances if located normally, then test the sealer. You can tell that the sealer is compatible with the granite countertops if it does not leave discoloration or residue on the granite. Cover surface evenly using spray bottle or a sealer-dampened and lint-free cloth. If sealer is not contained on the spray bottle, then you can use a brush. You need to check instructions for the accurate exact time as, leaving the sealer for too long can result to discoloration. Usually, sealer needs 20 minutes to completely soak into the stone but you need to trust the label in this one. If a particular label requires you to add second coat, this is typically done when the first coast is almost dry. Wipe the second coat all over the surface to guarantee even application. Upon leaving your sealer for 20 minutes as directed by the label, wipe the remaining sealer using clean rags. Excessive sealer left on the surface can actually cause unsightly haze. This is also one thing that relies on extract product; however sealer will require a cure for some particular period of time before it’s effective. Follow these steps on how to seal granite countertops properly and you will surely end up with properly sealed and beneficial granite countertops.